The three main benefits of this are: 1. Left Hand Dexterity and workout 2. Right hand alternation and string crossings 3. synchronization of both hands. 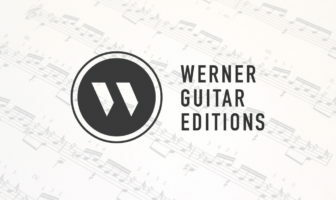 The book I mention can be found on Amazon: The Bible of Classical Guitar Technique by Hubert Käppel which is an amazing 245 pages of exercises and text. You can also find it in Scott Tennant’s Pumping Nylon which is actually the one I play in the video. You can see more lesson videos at the lesson archive page. For more free weekly lessons join the Email Newsletter for updates and please consider donating to the site or sharing this post to support.